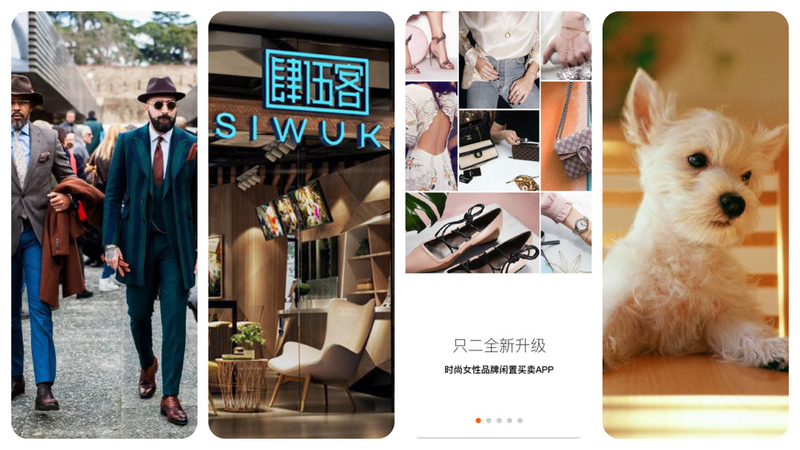 Second-hand fashion e-commerce platform announced on May 4th that they raised Series A and A+ financing, with tens of millions of US dollars each, led by Red Point China Fund and Vision Capital, and followed by their previous investor, China Growth Capital. Previously, Zhier raised hundreds of millions of US dollars in Series Pre-A financing from China Growth Capital in March 2017. The new round of financing will be mainly used to enhance service efficiency and user experience, and to optimize the pricing algorithm and the verification of product authenticity. Zhier was established in June 2015, with photo shooting, valuation and quick recycling services for second-hand clothing for platform sellers at the initial stage. Afterwards, Zhier evolved to include screening, cleaning, disinfection, ironing, and courier services for buyers, with expanded product categories including bags, shoes, accessories and so on. At present, Zhier has over 800,000 registered users on the platform, with an overlap ratio of 20% for buyers and sellers. 80% of the items are traded within 90 days. Men’s suit rental platform Yidangxian announced on May 3rd that they raised millions of yuan seed capital from Will Hunting Capital. The financing will be mainly used to increase offline fitting rooms and to expand business beyond wedding scenarios. Yidangxian was established in June 2014, entering the market with men’s suits in wedding scenarios. Currently, Yidangxian has three offline fitting rooms in Xi’an and Chengdu. Its logistic center is located in Xi’an, with third-party logistic services provided by JD. After suits are sent back, the logistic center will complete procedures such as dry cleaning, fabric polishing, high-temperature shaping, dust cleaning and so on.. Targeting white-collar customer groups, the tea drink brand 45Tea announced on May 3rd that they raised tens of millions of yuan in Series Pre-A financing led by Jiuyicheng. The financing will be mainly used to expand offline stores. 45 Tea was established at the end of 2016, featuring a proportion ratio of 4.5 grams of tea to 500 ml of water. At present, 45Tea has over 100 SKUs with a price range from 15 to 28 yuan, including fruit tea, mojito series, milk top series, steamed milk tea, and hand-brewed tea products. 45Tea has many directly managed stores in Zhengzhou, Xi’an, Nanjing and other cities, with a size from 30 to 70 square meters each. Tea drink brand Chaqi announced on May 4th that they raised 5 million yuan in angel financing from Galaxy Capital. The financing will be mainly used to improve supply chain and store management system. Chaqi focus on office refreshments outlet services. In addition to set meals and catering services, Chaqi also provides services in tea break, salon, cocktail parties and other social events. Chaqi has 10 stores currently. Mid-to-high-end pet food brand Verdure announced on May 4th that they raised angel financing from Beijing Jingkaijiye Capital Management Co. The financing will be mainly used for product R&D and channel expansion. Verdure was established in June 2017, entering the pet food market with gluten-free meals (formula without corn, soybeans, wheat and other cereal products). These ingredients are suspected to be the main cause of dog allergies. Instead, Verdure adds more natural meat, such as pork, chicken, beef and so on. Currently Verdure’s standard pack (2kg) is sold at 219 yuan. Their distribution channels are mainly online, including JD, WeChat official account and Xiaohongshu. Based on the big data technology, art investment consulting platform Art Data 365 announced on May 2nd that they raised millions of yuan angel financing from Baicuishan Industry Fund in March 2018. The financing will be mainly used for product R&D, marketing and team building. Art Data 365 was established in July 2017, mainly providing art investment information and recommendation for high-net-worth customer groups. Art Data 365 has started data mining and classification processing since November 2017. In earlier this year, Art Data 365 launched mobile-end and mini-program products. According to the product design, Art Data 365 application will provide functions, such as searching with image, art shelf, smart recommendation, and investment consulting.